Reports have surfaced suggesting that Kate Middleton is pregnant once again. OK Magazine have run a full front page spread indicating that Prince William has revealed that Kate is expecting twins. OK Magazine have also gone one step further by saying that the twins will be two girls and that Kate has already gained 10 pounds in "mommy weight". The twins will join Prince George in the royal family as an OK source said "Kate has always wanted a daughter, and she’s talked about it so much that William did too.". 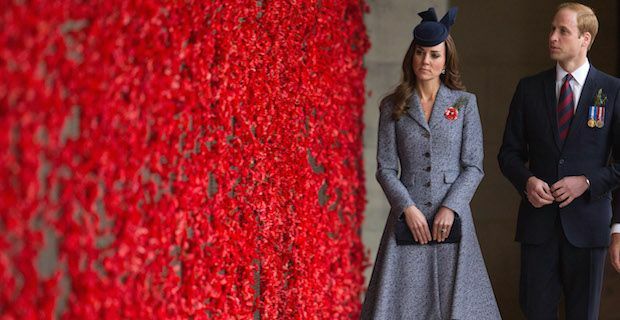 William and Kate have been notable by their absence at many formal functions since their trip to New Zealand and Australia and this report may explain why that is. Prince George has been thriving since his birth and he has even found the time to fit in some formal visits along with his parents. He also has the distinction of being featured on a stamp in New Zealand.